For today’s Featured Ebay Auction, we share an auction that showcases figures from one of the most celebrated crossovers in video game history. 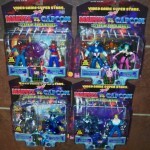 Check out a Lot Of 4 Sealed Marvel Versus Capcom 2-Packs. 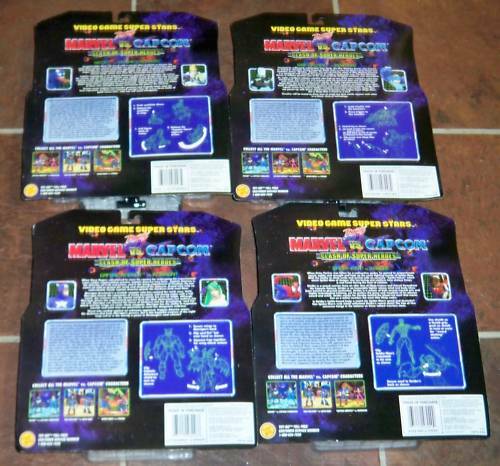 The sets contain Spider-Man vs. Strider, Captain America vs. Morrigan, Venom vs. Captain Commando, and War Machine vs. Mega Man. 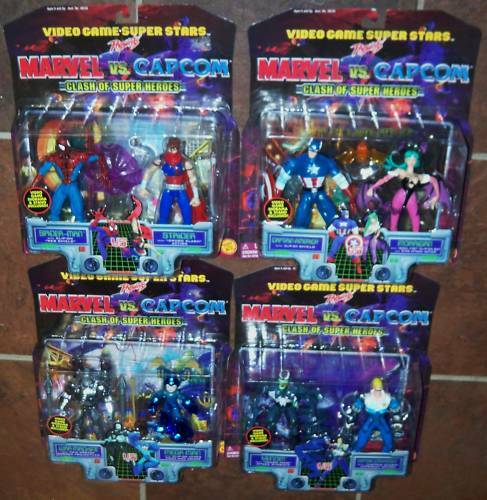 These were released on 1999 by Toy Biz.